In 1968, Eunice Kennedy Shriver helped bring children and adults with intellectual disabilities out of the darkness and into the spotlight by hosting the first Special Olympics Games at Chicago’s Soldier Field. Special Olympics proved to the world that people with intellectual disabilities can accomplish amazing things – both on and off the playing field. Today, there are more than 5 million athletes in 172 countries worldwide; and Special Olympics has continued to make historic strides in health, education and inclusive programs for individuals with intellectual disabilities. This year, we are joining the world in a celebration of Special Olympics 50th anniversary as we work together to boldly create a new future for people with intellectual disabilities. 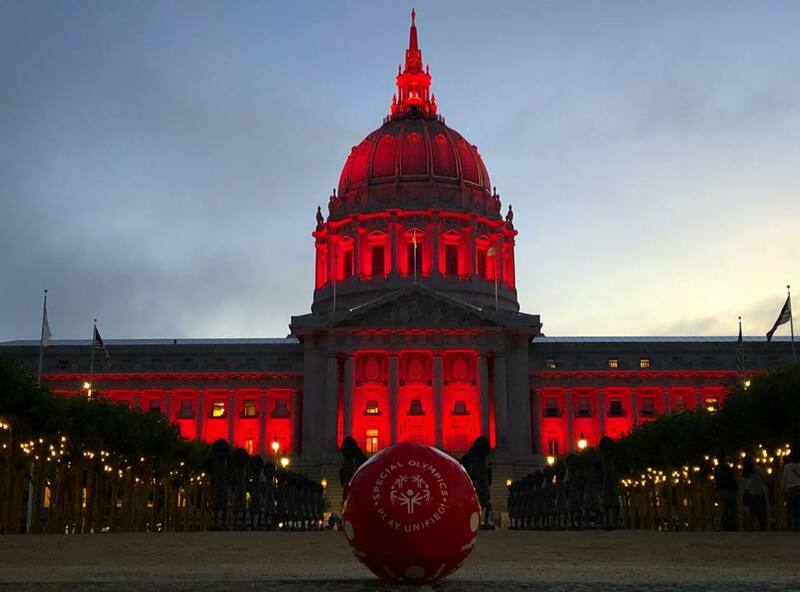 San Francisco’s City Hall and San Francisco International Airport (SFO) were among a number of landmarks and iconic venues around the globe to Light Up for Inclusion on July 20; Chicago hosted a week full of celebrations and events; and we are continuing to incorporate the anniversary into our programs throughout the remainder of the year. You can be a part of the celebration and help kick of the next 50 years of the #InclusionRevolution! 1) Take an action by becoming a volunteer, become a coach, be a fan in stands at our competitions, or attend our next event. 2) Donate. When you choose to support Special Olympics Northern California, the funds go directly to support programs in YOUR community and help us reach more athletes waiting for their opportunity to get in the game. 3) Keep up with all of the excitement and check out some inspiring content from across the globe by following us on Facebook/Twitter @SONorCal and Instagram @SpecialOlympicsNCA.